NEW YORK -- Presidential hopeful Hillary Clinton is a grandmother twice over. 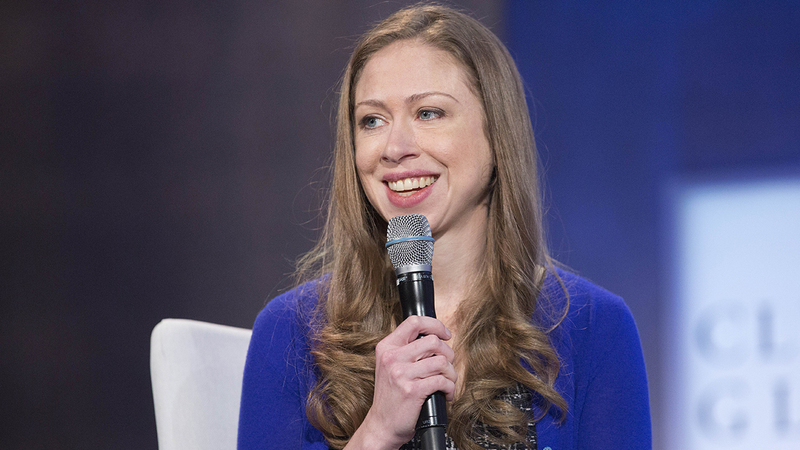 Chelsea Clinton announced Saturday that she has given birth to her second child, son Aidan. The 36-year-old daughter of former President Bill Clinton and current presumptive Democratic presidential nominee Hillary Clinton lives in New York. She and her hedge fund manager husband Marc Mezvinsky have a 20-month-old daughter, Charlotte. Both Charlotte and Aidan were born at Manhattan's Lenox Hill Hospital. Mezvinsky is the son of former U.S. Rep. Edward Mezvinsky and former U.S. Rep. Marjorie Margolies-Mezvinsky. On Twitter, Chelsea Clinton said the couple is "overwhelmed with gratitude and love." Aidan is the second baby to be born to the child of a presidential candidate this year. In March, presumptive Republican nominee Donald Trump's daughter Ivanka gave birth to her third child, son Theodore James. "We are overjoyed to be grandparents again with the arrival of our grandson, Aidan Clinton Mezvinsky, born on Saturday, June 18, 2016. We are all over the moon as Chelsea and Marc welcome Charlotte's little brother to the world and grateful for our many blessings. Chelsea and Aidan are both doing well and enjoying this very special time together."